The teaching English is an integral part of school and testing education. In school some of the states an teaching English by direct method and some of schools are teaching by indirect method. An English Speaking Expert adopt the method according to students. Some students who are from rural area or Hindi medium background, they can learn only indirect method i.e., translation method. They learn how to make translation in Hindi to English or English to Hindi. In this method they the English speaking expert teaches that how to identified the Hindi sentence or other language sentence so the learner may translate the sentence in English easily. Similarly the English speaking expert teaches that how to identified the English sentence so the learner may convert it in Hindi or any other language accordingly. Some English speaking expert teach by direct method, in this method student speak or write English language according to situation not by translation. Direct method is very much suitable for learners but it is good for English medium students. 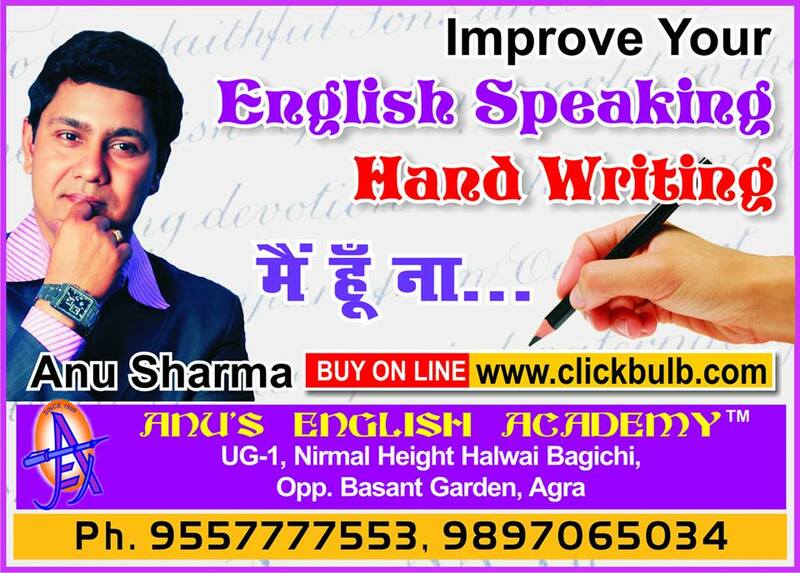 English speaking expert of the two cities like Agra, Gwalior, Jaipur, Kanpur, Lucknow, Mathura etc adopt both method some time direct method some time translation method. English speaking expert also focus on vocabulary of students and some English speaking expert organize some group discussion, debate, English puzzales, paragraph writing, Audio-visual activities. So learners may learn easily and feel confidence in English. The English speaking trainer should take care while teaching of English grammar for the sake of teaching it has no importance. In teaching it, the teacher ignores it functional aspect. It is actually through this aspect that the students learn the use of idioms. At the same time, they develop an ………………. Words. The English speaking trainer should ask the pupils to learn by heart the long lists of English words and their vernamalas equivalents. They fail to realize whether such learning has any importance as not its reason is that words have no definite meanings. Their meanings change in relations to the words that come before and after them. So, the teacher should not start translation as soon as they begin to teach English. They should start it when the pupils acquire a good working knowledge of their mother tongue as well as English. Some time English speaking trainer have to face many difficulties like most of the pupils in almost all the spoken English classes is very large. Hence, the English speaking trainers can not pay attention individually to them. It is very necessary to pay attention to them for teaching English, which is a foreign language. Most of the students of Indian schools not linguistic minded. Hence, the question of teaching them a foreign language does not arise. The average school are not well equipped with audio-visual aids. They are lack of proper facilities in their schools. Hire Great English Speaking Trainer for Professional Training Institutes, English Coaching Centers, English tuition classes in Agra, Gwalior, Jaipur, Delhi, Noida, Ghaziabad, Faridabad, Mathura, Meerut, Kanpur, Lucknow and other cities in India.